We’ve never claimed to be social media experts, here at Synergy Marketing. But we do know one thing for sure. Ever since we took to posting links to our blogs on both our Facebook and Twitter accounts, our followership has significantly grown. We wouldn’t say that our profiles are the most popular on the internet. Nevertheless, the fact that we remain active has certainly gained us a growing number of fans. 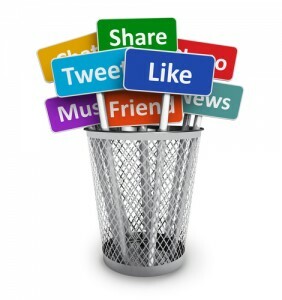 Social media are practically musts in today’s business world. If nothing else, they represent free forms of advertising. The truth is, however, that they represent so much more than that. It can’t be forgotten that the “social” part of using the Facebooks and Twitters of the world plays a big role in the ways in which you can engage an audience. You see, social media advertising is a lot less about advertising than it is about interacting with others. Essentially, this is what social media are used for. Getting reactions out of people is the objective of every post, whether it’s personal or business-related. The trick is for business-related posts to still have a personal touch. This is why every one of our social media posts is a question. The point is to get readers curious enough to wish to know the answer to the question and click on the link that brings them to our website. However, as mentioned earlier, we don’t claim to be social media experts. In truth, there is still a lot that we’re learning as it relates to engaging our audience. This is why we so often take to the internet to research expert opinions about how to utilize social media to our advantage. As a result, we’ve learned that Facebook posts and tweets shouldn’t be written as straight advertisements. The point, once again, is to be social on social media. Remember that your profiles give you opportunities to showcase your personality. These days, people often form their opinions of businesses based on the way they interact with the public. Clearly, it’s not just about selling quality products anymore. Companies are expected to show genuine forms of interest in the people who support them. Be sure to check back for tomorrow’s blog as we’ll list a number of effective ways to engage your audience through social media. And don’t forget, of course, that you can call Synergy Marketing directly at 1-877-748-9884 between 9am and 5pm EST or email us at info@gosynergygo.com to order promotional products to advertise your business. You can also sign up for our Insider E-Flyer Program HERE!